Breakfast is served in either of the Lodge's exquisite dining rooms between the hours of 8am till 10am. The Lodge is not open for evening meals, however we do have Woodlands Restaurant which is a mere 10 minute walk from the Lodge and is open Thursday, Friday, Saturday evening and Sunday Lunch. For more information on the Woodlands Restaurant please contact Dumfries House on 01290 425959. You can check availability, room rates and make a booking request for a specific room or rooms using our online ‘Check Availability’ system. With complimentary WiFi, flat screen TVs and luxurious en-suite bathrooms in every room, there’s no better place to unwind after a hard day’s work. To discuss corporate package requirements or for a quotation for overnight accommodation, please contact a member of the Dumfries House Events team on 01290 429913 +44 (0)1290 425 959. The cosy lounge and snug study, both with open log fires, are there for your use throughout the day and evening. What makes Dumfries House Lodge that little bit different is that guests are encouraged to spend as much time as they wish within the Lodge and make full use of the facilities including the lounge areas, garden and courtyard. Manned by a small unique team during the day, guests are left to enjoy the Lodge at their own leisure once the last guest has arrived and been settled in by the Lodge staff. Each of the 22 en suite Guest Rooms has been individually styled with complete comfort in mind and feature carefully selected antique pieces. Guest Rooms enjoy all the modern facilities including LED Screens, WiFi and luxury Tea/Coffee making facilities as well as complimentary Arran Aromatics Toiletries. 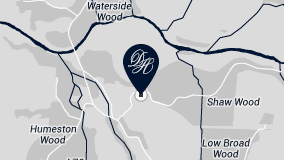 If you require further information, show rounds or bookings for Dumfries House Lodge please call reception.